Still want to rent a car even though yours isn't being serviced? 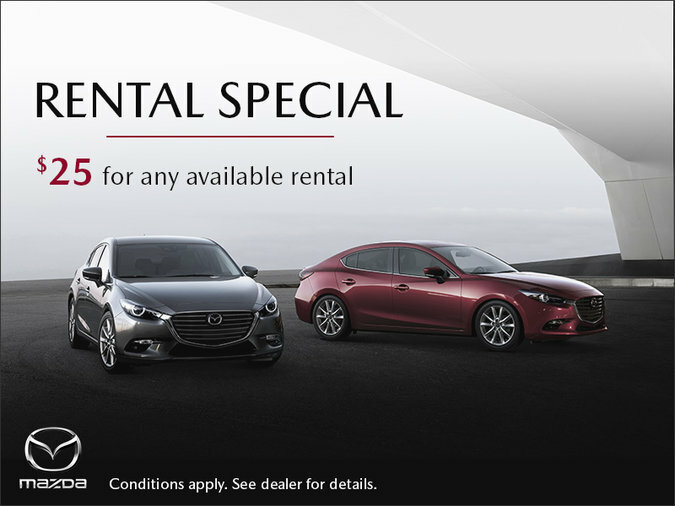 No problem: Rent with confidence from Gerry Gordon's Mazda from only $39.95 per day! 18+ with a valid drivers licence. The standard rate of $39.95 per day applies to all other customers.